EmEditor regex: match multiple lines when using . * or .*? 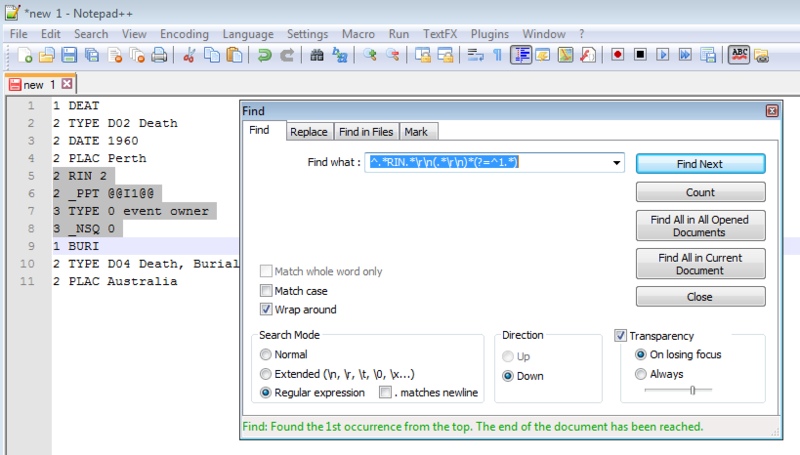 EmEditor (unlike Notepad++ which has a visible check box .matches newline setting on the main Search/Replace dialog) needs a couple of extra clicks to match new lines. You need to click Ctrl+H to bring up the search dialog, click Advanced, check the Regular Expressions can Match new line characters check box and enter 1 or more in the Additional Lines to Search for Regular Expressions text box.